Комментарий автора: After finishing my The Signal trailer with Akira I decided I wanted to do a comedy trailer. 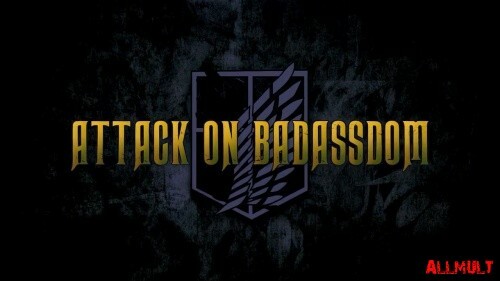 I recently watched Knights of Badassdom and never heard of it before... I thought it was hilarious and liked the idea of making AoT like they are a bunch of larpers considering how many anime fans cosplay with it. After coming in second during AWA pro voting I was really excited to see how crowds would respond to it and it won Best Trailer as well as Best in Show at Anime USA. Справка: Пародия на трейлер фильма Рыцари королевства Крутизны (Knights of Badassdom).